Breast cancer has unfortunately become a problem that is plaguing a growing number of women day by day. In an effort to show solidarity with survivors and battlers of this horrific disease, the color pink has been adopted as the representative of breast cancer awareness. Combining the traditionally accepted looped ribbon design that's a symbol of raising awareness and the pink color associated with breast cancer awareness, the Pink Awareness Ribbon Lapel Pin is an excellent option for those looking to show the survivors of this challenging ordeal that they are not alone and that people are standing by them. 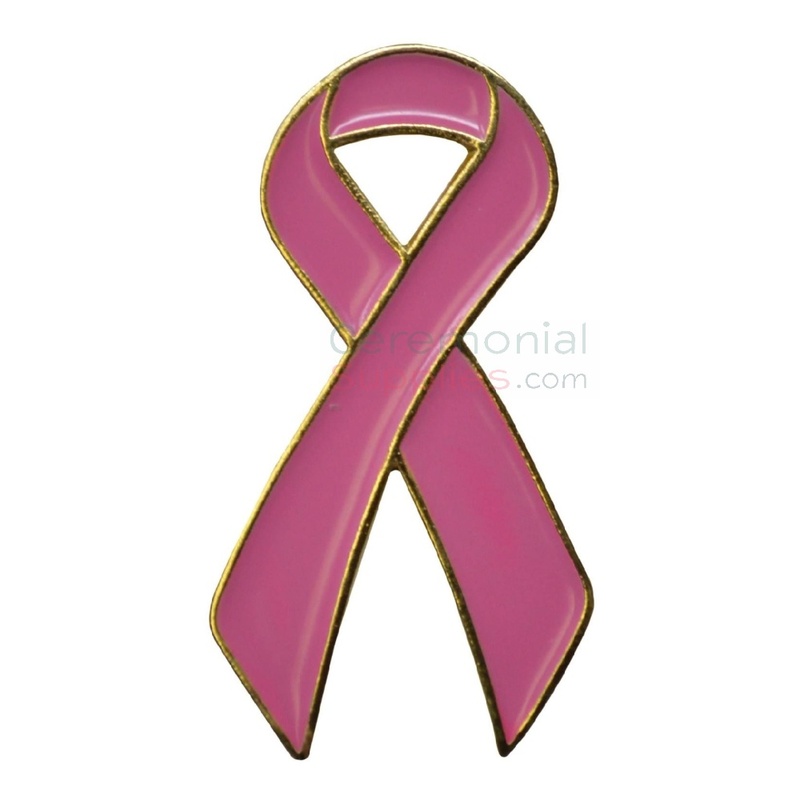 In a bid to raise awareness for a host of diseases and conditions, CeremonialSupplies.com has a special section dedicated to awareness ribbon pins for you to go through and choose the one best suited to represent the cause you support.